These Cupcakes Really Take the Cake! 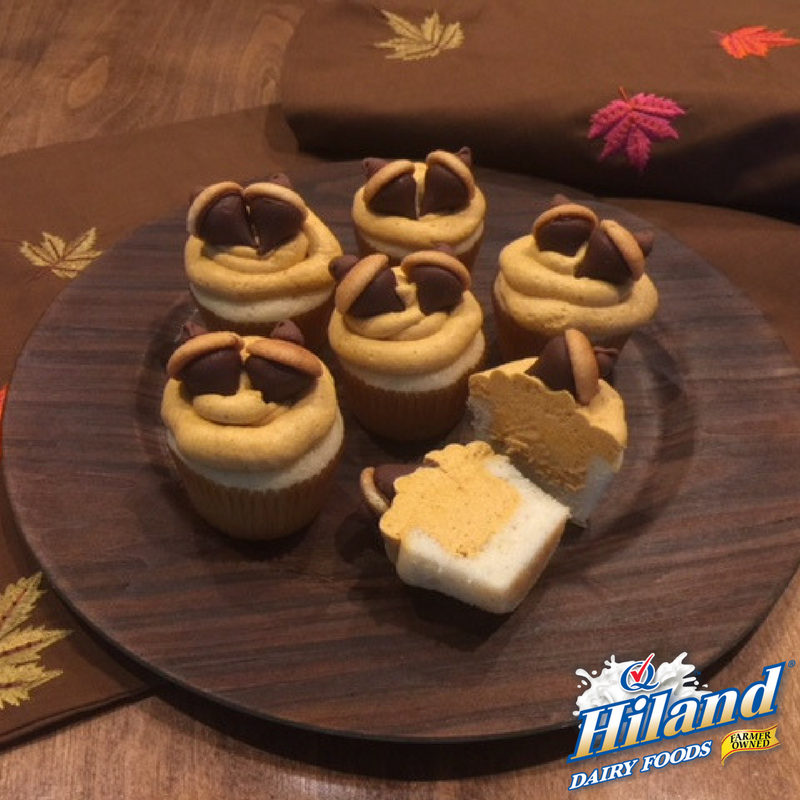 A chill is in the air, colorful leaves are falling, and it’s time to bake these vanilla cupcakes filled and topped with fluffy pumpkin spice frosting. 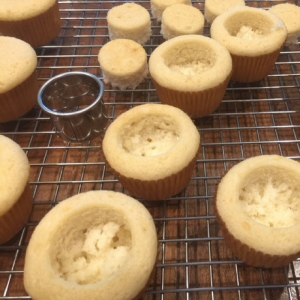 Adorn them with homemade acorns and you’ll have cupcakes that will win over all who take a bite. Prepare the cake batter according to directions on the box. 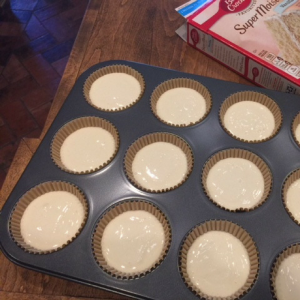 Place cupcake liners in a 12-count cupcake pan. Fill each liner approximately 3/4 full with batter. Bake for 12 to 15 minutes. Let cool on a baker’s rack. Using a hand mixer, mix together the cream cheese, canned pumpkin, milk and powdered sugar. Gently fold in the Cool Whip with a spatula. 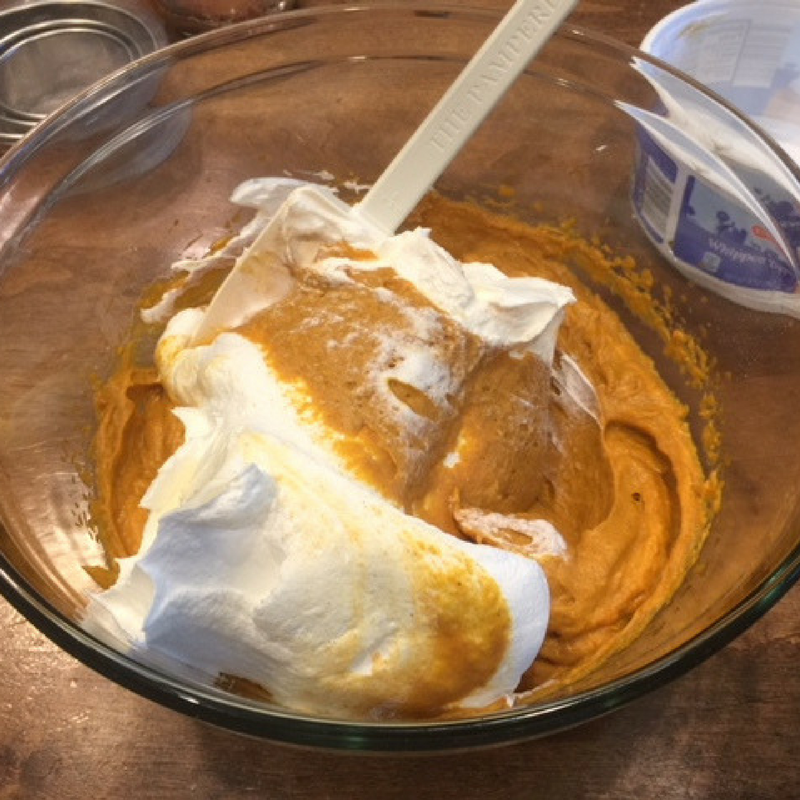 Tip: Be sure not to overmix the Cool Whip to prevent the frosting from becoming runny. Cut out the centers of each cupcake, approximately 1/2 to 3/4 inches deep. 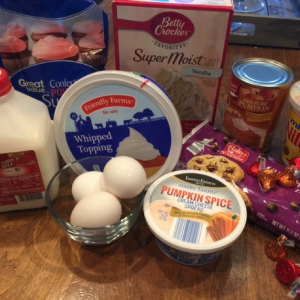 Spoon the frosting into a piping bag and fill and frost the cupcakes. Store filled and frosted cupcakes in refrigerator. Melt 1/4 cup of chocolate chips in a microwave-safe bowl. 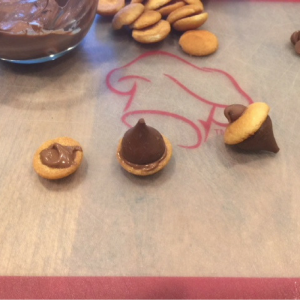 Lightly dab the flat end of a chocolate kiss in the melted chocolate and press onto the flat side of a vanilla wafer cookie. Dip the flat end of a chocolate chip into the melted chocolate and press it to the top of the wafer cookie. Repeat last two steps until you have the desired number of acorn toppings. Place acorn toppings on each cupcake for festive flare. 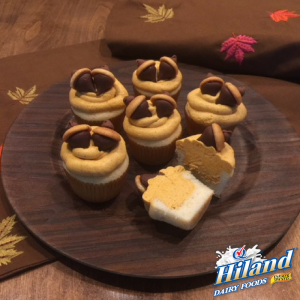 Serve up these treats with a refreshing glass of Hiland Dairy Milk. And, remember to store leftover cupcakes in the refrigerator to prevent them from spoiling.